Self Drive your car to Uluru where you will meet your friendly guide. 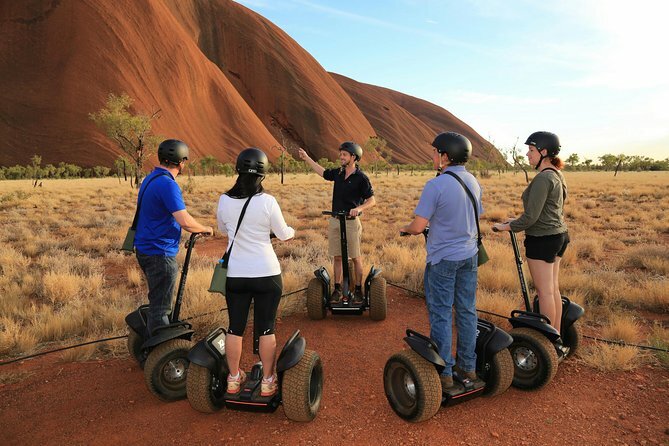 Be shown how to Segway, before setting off on guided Segway ride around the full base of Uluru. Be mesmerised by the sights, sounds and cultural stories of this ancient rock. Self Drive your car to Uluru and meet your friendly guide at our site base in the Kuniya Carpark. Upon arrival at the segway base area, the tour guide will provide you with segway training. You'll take part in a short safety briefing and have a practice ride of your segway. Afterward, you'll be ready for your guided tour of the magical full base of Uluru (the native name of Ayers Rock). Are aware that serious illness and injuries may increase your risk in the event of a fall.